Windows and Mac software lets XGate users select, download and view marine weather forecasts using the GRIB format over narrow bandwidth satellite and cellular networks. MARYVILLE, TN February 28, 2015 – RedPort Global, the leader in advancing satellite data and VoIP services, today announced the addition of integrated GRIB software with its XGate suite of satellite data services. XGate is the world’s leading independent satellite data acceleration service letting people easily and affordably access accelerated email, web, weather data, social media and blogging wherever they go. This announcement follows on the heels of the addition of NOAA weather forecasts to the iOS and Android versions of XGate. XGate GRIB Software is a basic weather program, included at no additional cost, that has the features many boaters will need to get started with GRIB weather forecasts. 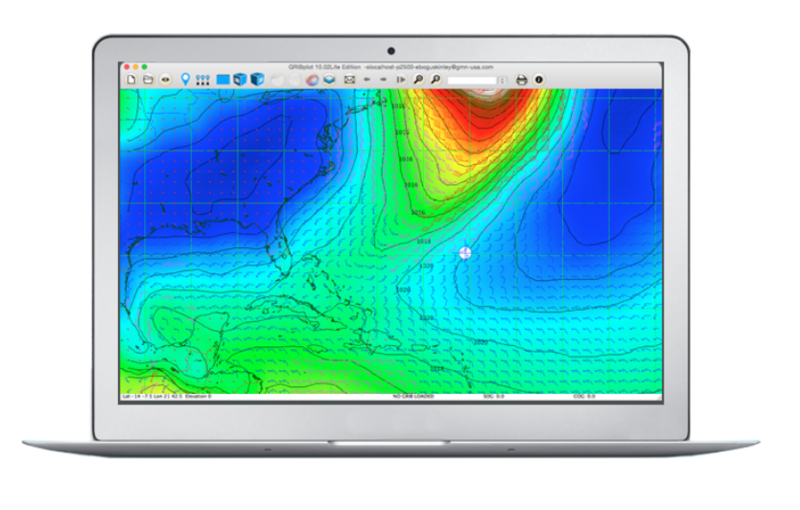 Users can select, download and view GRIB files including wind, wave, surface pressure and precipitation. Additionally, the software can display other GRIB data the user has obtained from other sources. XGate weather software is designed as an excellent entry point into using GRIB files. Mobile Weather Forecasts – XGate mobile weather forecasts delivery up to 7 days of a variety of text-based weather forecasts for iOS and Android users. RedPort XGate is also offered by leading satellite service providers as a white-label solution under other brand names, including: OCENS Mail, Network Innovations Speedmail, Satphonestore.com Satphone.Me, MVS MVSMail, SatLink from BlueCosmo/SatWorx, and XGate for Telecom Italia.